Networking became a source of survival the moment I began college, from borrowing books, studying for finals, and even getting frequent rides to the emergency room. My first semester of college I joined a sorority. At first, I thought that by joining this organization I was going to spice up my social life. But quickly I learned that this organization would offer so much more. After becoming part of my sorority, I became acquainted with the many principles it would teach me. I learned how to become a leader, how to speak in public, and even how to socialize with people. These skills were put to the test on several different occasions, such as meetings, recruitment, and fundraising events, and even promotional activities. My interaction span grew quickly. I found myself going into other organizations' meetings and speaking to them about many different topics. In time, I came out of my shell. I've met so many people during the last two years, and each one has helped me in some way. Networking allows you to expand your options; it's a door to opportunities. About a month ago an alumni from my organization sent out an email regarding an internship opportunity within her job. 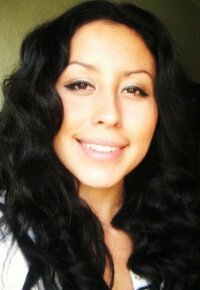 It turns out that she was part of a well known television company in the Los Angeles area called LATV. She was currently working as part of the Public Relations Department and was in charge of Artist Relations. The company was seeking interns to assist with the many duties that both the Production and Artist Relations departments needed. The email caught my interest, as I found it a great opportunity to explore the communications field. For the past few months I have found myself questioning my career choice, whether I should jump into this field or the other. This internship would give me the chance to get the hands-on experience I needed and help me make a decision about my future. I decided to contact her for more information, and for the next few days I was given a tour around the studio and assigned a supervisor. When my sorority sister (Head of Artist Relations) asked me about the interest I had within the internship, I knew right away that I wanted to work closely with the producer. I wanted to be "on set" and see what went on behind the cameras. The work that went on behind the scenes was exactly what intrigued me. When I was introduced to the producer (who is also an alumni from my organization) I was extremely excited. I was going to be working under her wing and helping her out with anything she needed. My first day at LATV was an incredible experience. I was taught how to search for clips, data, files, music, videos, and everything else that involves the area of production. My duties as an intern were to watch the clips from the shows and create scripts based on the content. I have to input that information into Excel and make sure that I search for the codes that correspond with each music video. Occasionally, I have to do research for a couple of segments that are based on gossip. I even get to sit down with the editor and find all the pictures needed to tell the story in the show. Since my first day at LATV, I have also had the pleasure of meeting a couple of well known Latin American artists, such as Banda El Recodo, La Factoria, and even Mexican actor Eduardo Verastegui. My internship has allowed me to see a whole new aspect of the entertainment business. It has allowed me to expand my career opportunities, and helped me grow as an individual. The internship is set to last 3 months, which is basically my whole summer. As I continue to work (unpaid, I might add), I'm simply nervous for what is to come. Not only am I obtaining another addition to my resume, I'm also chasing my dreams of becoming someone BIG someday. Go out! Market yourself, as I like to say. You're the product, and the best way to find buyers is to simply talk about your qualities, dreams and aspirations - all the things you can do and hope to accomplish. You can talk to your friends, co-workers, mentors, and even your own boss if you happen to have one. Networking is an easy way of obtaining opportunities. A friend of a friend may need someone like you at their law firm, library, real estate firm, or anything else you might be interested in. So go ahead and put your best foot forward - you never know who might be interested in having you as part of their team! There are many search engines that help high school and college students search for internships based on their interests and location. You have the chance to modify your search in order to obtain more results, as well as narrow down the best options for you. Most search engines are free, so you don't have to worry about paying any money! If you happen to find yourself not being able to obtain access to the internet, you can always visit your campus career center. The staff there can help you become aware of any opportunities located on campus or even opportunities that are strictly for students at your school. Career centers work directly with many organizations; therefore, you have a greater opportunity of getting an internship through them. These services are provided for free to most students who are enrolled at their college, whether it is a community college or university. If you're a high school student and want to get an early start, you can speak to your counselor and see if he or she knows of anything available for high school students like you. There are thousands of career centers, as well as volunteer opportunities available to the public. If you are already a volunteer, you can speak to your coordinator and find out about any internships through their organization. And if you're not, then simply visit your nearest volunteer center for more information. Volunteer centers are especially thrilled when students decide to give back to their communities, so I'm sure they would be delighted to help! Non-profit organizations sometimes have internship programs available to their members. If you happen to be involved with any sort of organization, you should consider visiting their website to find out if they have any cool opportunities for you. Whichever way you decide to seek an internship, I hope that you are successful. Make this summer about much more than memories - let it help you grow as an individual!